It is quite amazing, but the field of pediatric dentistry is also evolving at a constant pace. In pediatric dentistry, working with kids, safety, comfort, efficiency, and conservative treatments remain the game changers. However, that’s not all there is to this field, and thanks to innovations, it makes it easier to manage and treat children. Yes, despite the joys of working with patients, pediatric dentist TulsaOK and others across the globe have their own challenges. This year already proves to be a revolutionary one for the dental industry, since new appliances and techniques are trending. 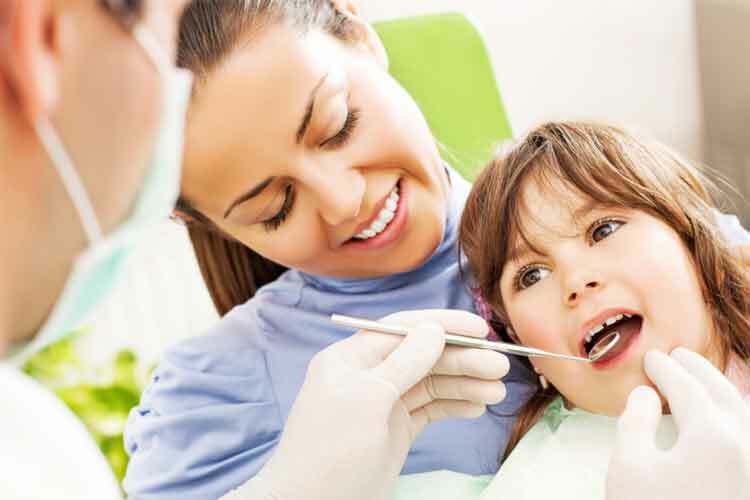 However, what does the future hold for pediatric dentistry? From 3D printed prosthetics to so many other innovations, 2019 is set to be an exciting year in the dental trends. Read on below to learn more about the top 10 trends that we can expect in 2019. Baby teeth are delicate and important. They are essential because they pave the way for permanent teeth to develop and help with chewing food, speech, and facial development. This is a reason why it is important to address the chances of tooth decay in primary teeth. In 2019, new diagnostic tools will rely on trans illumination, which will help to identify decay among different pediatric advancements. It will work when the light shines through the teeth. It won’t emit any radiation but makes the enamel appear transparent and darker. With an expected integration of SDF in Tulsa Child Dentist practices in various clinics, it is expected that the practices will change active decay and manage incipient lesions in patients. This odorless, colorless liquid will be able to manage decay without the need to use any anesthetic and high-piece equipment. It will revolutionize the way dentists address issues in their pediatric cases that require sedation. Another major innovation is that of painless injections. In most cases, when a child needs dental care, his or her major concern is the fear of injections. The good news is that there are painless oral techniques and injections that can improve the experience of kids. This year, nitrous oxide and others have made their way as safer options and 2019 is set to take this a step further. The field of dentistry often depends on laboratories to produce appliance, bridges, and crowns, however, in the future trends in dentistry of2019; there will be a drop in this dependency. Clinics will be able to access 3D printing machines easily and allow accurate model making in less time as compared to manual and older techniques. As the name suggests, 3D dental x-ray technology is all about taking a picture that will show the 3D version of the child or patients mouth. The technology works while the patient stands still and a camera will rotate around their head to complete a 360 degrees scan. It is a quick process and it has benefits, including lower risks or false images and proper detection of the oral health problem and condition. In 2019, the trend of using this method of X-rays will only rise higher. In 2019, 3D color x-rays are set to roll into clinics. The dental cone beam, computer tomography (CT) is special x-ray equipment that dentists use when regular facial or dental x-rays are not enough. The dentist will use this new technology to produce 3D images of their patient’s soft tissues, teeth, bone, and nerve pathways, all in a single scan. The use of new materials in this field of dentistry will revolutionize the way kids care for primary teeth, including options from safer dressings, tooth-colored fillings all the way, to safer options, to address infections in the mouth. Restorations will be more about aesthetics and restoring the strength of the permanent teeth of kids. This will work similar to laser therapies, just on an advanced level. Laser dental therapy is all about using lasers to minimize the risks or amount of damage to tissue surrounding the teeth, which causes the pain to be quite less. It also targets the incisors of patients and helps in treating various oral conditions. Kids with braces will be able to rely on unique orthodontic options. The Platypus Flosser will continue to change the way young people floss with their braces on. They will be easier to use when flossing and slip under archwires effortlessly as well as between brackets. It is always important that patients remain up-to-date with the latest trends, along with how they work in the field of dentistry. Pediatric dentist Tulsa, as well as others in various clinics across the globe, will be able to enroll in continuing education, which should help them on the best ways to keep parents updated with the latest changes and equipment. Pediatric dentistry will continue to evolve, so let’s see what the future brings for this field!